Pyromusicals (a music sound track with synchronised fireworks) account for well over half of all large scale firework displays. Popularity has increased with a number of musical firework championships and displays such as Fireworks Champions and Festival of Fireworks bringing these style of firework displays to the public. Many smaller displays particularly at Bonfire Night or Halloween and Weddings are also taking up the option to have a Pyromusical firework display. There are five steps to a successful pyromusical which we look at in more detail below. Planning your musical firework display begins naturally with the choice of music. You may be choosing a single theme such as ‘James Bond’,’Space’ or ’80’s’ or a more general mix of music to suit many tastes that may include rock, pop, classical, ballads or dance music. The majority of public pyromusical displays include a number of musical styles and tempos, with a track selected for the finale that builds in intensity for the perfect conclusion to the display. Musical firework displays work best with a mixture of high intensity points and sections of calmer music so you get the full effect of the peaks and troughs in the display. It is important at this stage that the pyromusical display designer and the customer discuss the music as the design teams will have an insight into what music works well and what order tracks should be used in to provide a well-rounded display. Once the music track is selected and arranged or mixed, the next stage of the process is to design the display. Your pyromusical display will have multiple pyrotechnic firing positions and a number of different types of fireworks such as display shells, roman candles, comets and fountains. All of the firework effects will be crafted into a design to fit perfectly with the music. Some locations have unique or iconic backdrops such as the Edinburgh Castle, Big Ben, The London Eye, Wembley Stadium or Alexandra Palace which may be used as part of the design process to highlight the features of the location. If there are any special considerations at this stage such as a difficult site layout or noise restrictions due to livestock then the design process will take these into account. The firework display will now be produced based on the music choices. 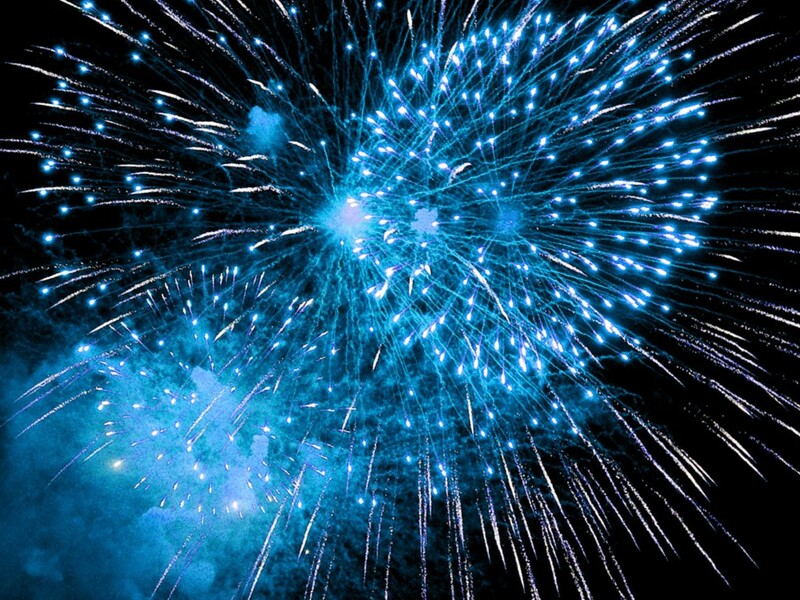 For larger pyromusicals, firework visualisation software may be used which gives the client a visual representation of the display prior to the actual event. Where visualisation software is not used, firework display designer software will be used which creates a firing script telling the system what effect number fires in which order. Small pyromusicals may contain a few hundred individual firework shots where larger pyromusicals will contain thousands of individual circuits. Once the display has been designed and signed off with the client, the preparation & set up will begin. This is one of the most important aspects of the display to ensure that there are no errors. Each individual pyrotechnic device will be allocated a number that connects to the electronic pyrotechnic firing system. The devices will generally all be labelled as a minimum with the product type, angle and circuit number which let’s the display crew where they should be plugged into. Once fully set up, the pyrotechnicians will perform system tests to ensure that all the electrical connections are good and that there are no missing cues from the display and that all the firing system hardware is functioning correctly. The next stage is the actual firing of the pyromusical. This will be run from one or more firing panels and laptop computers which tells the firing modules when to fire each effect. Large shows will have many modules and multiple back up firing systems. The firework show will be set off from the master panel or laptop and the music fed to a PA system so that the audience/guests can hear the music whilst the firework display is in progress. Clean up is a little remembered but incredibly important part of any firework display but more so with a pyromusical which can contain more shots than a traditional display. Some large public displays have clean up team including the areas containing the fireworks. For smaller displays it will be the firework team’s reponsibility to ensure that the clean up of the firework display sites is completed as well as possible. It’s always good practice for firework display companies to clear up as much as possible any firework debris from the display site.